Welcome to our first ODBD Challenge Team Challenge! We are super excited for these weekly challenges & hope you will be joining us regularly !!! Valentine's Day is right around the corner & we are challenging you to use HEARTS on your creations. The hearts can be on your designer paper, in your image, on your embellishments (ribbons, pearls, gems, charms and etc.) on cuts... on anything. To make this challenge even more fun, ODBD will be giving out a $15 gift certificate prize to 1 lucky winner for using toward stamps at the Our Daily Bread Designs store!! Entries for the prize must be submitted by Thursday, February 11. Winner will be chosen & announced next Saturday. If you upload your creations to Splitcoast Stampers or any other online gallery, please use the keyword is ODBDSLC1. 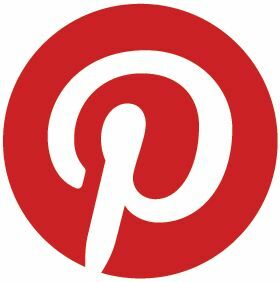 When uploading to your blogs, please link back to the challenge. You can also find this challenge posted at SCS HERE. 1-2 creations will be chosen to spotlight with a "Shine the Light Award". 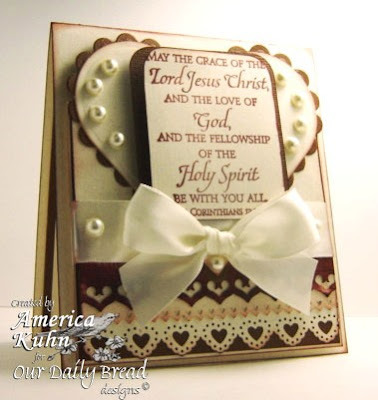 To qualify for this award, however, you must use Our Daily Bread Designs stamps on your creation. These creations also must be submitted by Thursday, February 11 and linked with Mr. Linky on the ODBD Blog. Winners will be posted/announced on February 13. This is stunning America!! I love your rich and elegant color scheme, your big heart, all the pearls and your gorgeous design. Awesome creation for Our Daily Bread Designs first weekly challenge. Love it! America this one blows me away!!! Your design has so much dimension and the sponging adds so much! I love the whole thing... yummy ribbon... sentiment... it rocks, as do you America!!! Great way to start off the weekly challenges!!! Hugs! Such elegance in this America. You've used the shapes and embellishments so gorgeously! WOW!! Elegance and classiness abound in this AWESOME creation!! A BIG WARM WELCOME to the Midnight Madness Sketch Challenge. This is just a stunning card, America!! Love the colors and that beautiful bow!! The Design Team thanks you for playing along with us this week. your pearls, your punched layers, your amazing work of art!!! gorgeous gorgeous!! beautiful America! I love all your layers and punches!! this is so beautiful America!!! Oh America, I'm drooling....what a sensational card. Everything about it is just beautiful, love the colours I'm a brown girl if ever there was one. BEAUTIFUL...The colors are wonderful and I love the layout and layers!